Akampurira Collins is six years old and is currently the youngest of our children at The Peace Centre. He suffered from malaria and is no longer able to hear properly. We don’t know for sure when Collins’ parents died, but what we do know is that his dad had AIDS and committed suicide in 2010. We believe his mother abandoned him after his father’s death and he found himself left in the house on his own. Collins’ grandmother took him to her home, but she herself has mental health issues. Collins was very scared and reticent when he arrived, unsurprisingly, but he has now started calling the Matron and the Nurse ‘Mama’. His development is slow, we think due to the neglect he has suffered, but he is beginning to settle into The Peace Centre. Nora's mum left when she was two. She stayed with her dad, who also abandoned her, leaving her with her elderly grandmother. Nora has been able to go to school until Primary 3 without paying school fees as the school has accepted her due to her difficulties at home and her high level of effort. She should be in Primary 5 but has fallen two years behind as she missed long periods of school having to work digging the field for onions and potatoes. The money Nora earned was used to pay for her text books, school uniform and to look after her old grandmother who can barely walk. Robert is in Primary 5. His mother died giving birth to him in 2003, and his father died of typhoid last year. Since then, he has been supported by his grandmother, who is looking after four children. She has no job and is 78 years old; nobody will employ her as she cannot walk and is weak. She told us that when his father died she rescued him from his home, where he had been left alone. When visiting we found very little in the house, which looked exceptionally run down. We went at 10am and they hadn’t had breakfast, such was the lack of money for food. We found the children eating raw corn from the kitchen. They had no coal to cook with, and only managed to eat one meal a day. As Robert was about to move into Senior School, where the fees are much higher, it would no longer be possible to support him and he would be dropped out of school for good. Doreen's mum and dad both died of AIDS. She is one year behind at school, because she was allowed to attend lessons for free. Doreen used to live with her grandmother, along with seven other children, who have been abandoned by their parents. On the home visitation, Doreen did not want to be close to her grandmother, and the family seems extremely dysfunctional. Doreen was a source of income for the family, and she would spend the days digging the fields. Much as many other people who find themselves in extreme poverty in rural Uganda, Doreen’s diet was so poor that they could only afford to eat rice once a year, at Christmas. Most of our children were only taking one meal per day before they were brought into The Peace Centre, and it was mostly what their neighbours or friends could give them, or what they worked to buy, which was mostly vegetables like corn, beans and potatoes from the field. For those who could not pay school fees, the school would allow them to attend lessons but they were not allowed to have lunch with the other children. They would very rarely have breakfast or lunch. 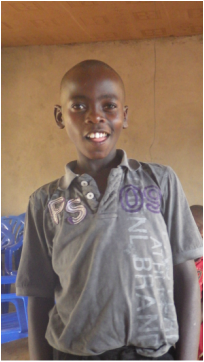 Daudi's guardian was a grandmother who found him on his own inside his home. His father died of an unknown cause and, after this, his mother abandoned him in 2009, when he was around 5 years old, leaving him alone in the house without any means of survival. After spending 4 days with us, we told him we were going to take him back to his old home to interview his old family. He immediately sunk into himself and spent the whole journey with crossed arms. I believe he was probably thinking we might leave him back there. The 'aunt' and her husband who were looking after him did not have work, and were struggling to make ends meet. Shanita does not know her dad and mum as they both died of AIDS when she was still extremely young. The old couple looking after Shanita were unemployed and man the old woman is ill - she cannot walk and cannot manage the garden, as they are both peasants. She was getting her school uniform, books and pens as donations from teachers of Nyabirerema Primary School. But the old couple cannot afford to pay for her fees for secondary school as they are also caring for other orphans. Promise's father died in 1998 and her mother died in 2001. She was living with her grandmother and grandfather who were heavy drinkers. She is in Senior 2 and she is two years behind at school. The house where Promise used to live was empty and in a very poor state. Promise’s elder sister could not continue with her studies and she works as a housemaid in a small town elsewhere in Uganda. Fortunate’s dad died in 2005 and her mum died in 2010, both of HIV/AIDS. Fortunate is in Senior 1 so she is behind by two years. Her elder sister could not continue with studies and after completing P5 she went to the city to work as a housemaid where she got married and has since never returned home. Fortunate is a clever girl and, despite the difficult family situation she has found herself in, she has won a district award for her strong academic performance. 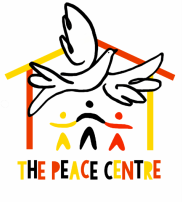 We hope that now in the care of The Peace Centre she will truly be able to thrive. Mercy is one year behind in school. Both her parents earned their living working in the fields. Her father died of AIDS in 2007, when she was around one year old, and her mother died of cancer three years later. Mercy was then taken to a distant relative’s place to live, but this lady is getting old and her employers will not pay her full wages, which means she cannot support Mercy any longer. 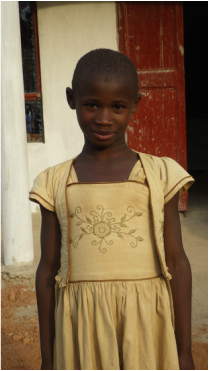 Mercy is doing well at school and has shown a responsible character, but without sponsorship the reality is that she will have to go to work in the fields. Amos's mother died in 2008 of an unknown disease. His father died in 2014 in a car accident. Amos has no siblings. After his father’s death, he was brought to live with his grandmother, who is ill - her joints and legs are malfunctioning and one of her legs is paralysed, making it impossible for her to dig the fields, the only way to provide some kind of income. Though the grandmother was old, she was getting some money from friends and neighbours and that is how she managed to pay for Amos' school fees for the first few months. 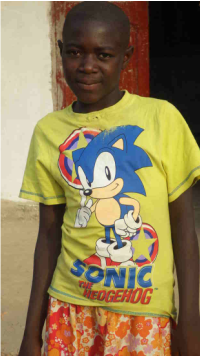 This is no longer an option, however, and Amos really needs a sponsor family to be able to have any chance in life. about her except her baptism card which dates back to 2002). Both her parents died of AIDS but her grandmother doesn't remember exactly when. Bridget is in Primary 4 and should be in Primary 7. She is three years behind at school because of her need to work. She works every day in the field growing vegetables to provide for her grandmother. She gets her clothes from neighbours as she cannot afford to buy her own. We found her neglected, carrying a large water can from the well and finding firewood to cook. She has had to cook and maintain the household. She didn’t have a bed to sleep in - she has been sleeping on a foam mat on the floor. Both Alex's parents were peasants and both died of AIDS. His father died in 2004 and his mother in 2007. After his parents died he was being looked after by his aunt who cannot support him as she doesn't have a job. Alex is in Primary 5 and he is 2 years behind in school. At his home visit, he was found with nothing in his home. Of course no electricity, and only a very basic kitchen and a foam mattress to sleep on. Joan is in Primary 1 and is already one year behind at school. Her father died in 2009, and her mother in 2011. They both died of HIV/AIDS. Joan had been staying with her grandfather but he is a heavy drinker and has shown little responsibility for her. Joan is one of the younger children at The Peace Centre but already seems comfortable here and does not want to go back to her grandfather's as she has no one to give her love, care and attention. According to his birth certificate, Moses is now 6 years old and was born the 19th May, 2008. But he looks older than that and the woman who was looking after him (a family neighbour) told us she couldn’t remember when his parents died. When she was asked to give an approximation she mentioned his dad died in 2008 (before Moses was born) and his mum died two years later, both of AIDS. The neighbour who was looking after him was caring for seven children (four of whom are hers and three of whom who she had taken in as they were orphans). She was earning 5000 shillings (USD$1 .67) a day working in the fields and that’s how she was attempting to pay for all the children’s school fees, but she was struggling to make ends meet. Moses is a happy boy and loves playing with all his peers - he has shown himself to be a real star at The Peace Centre. Zion is in Primary 5 - two years behind in school. His dad died of HIV/AIDS in 2004. His mother is still alive but seriously ill and completely helpless. Zion’s grandmother, who is jobless, took him into her care from his mother. When we visited, we found the grandmother alone in the house and Zion had to help the grandmother with housework every day after school. The grandmother regularly goes to Kampala for long periods to look after Zion’s mother, leaving him alone at home to fend for himself. Novas is an only child. Her father died when she was in Primary 2 and her mother when she was in Primary 3. She is currently in Senior 1 but is three years behind at school. She has been staying with her uncle who was kind enough to take her to his house, despite being unemployed and having another seven children to look after. We visited Novia’s abandoned house which was empty. The field behind Novia’s house is one that she used to dig and the money earned would contribute to her upkeep.